DocMeIn is a free scheduling software designed to help healthcare providers manage patient bookings online. Its features include a scheduling widget, color-coded calendar, appointment reminders, automatic recalls, and more. As of the date this article was written (09/11/18), there are not enough user reviews of DocMeIn online. If you are a past or current DocMeIn customer, leave a review to help other business owners who are deciding whether or not to use the software. DocMeIn is a free online scheduling software. Services from providers similar to it usually cost around $15 to $25 for apps with basic and straightforward functionalities, while more extensive ones cost around $50 to $100+ per month. DocMeIn also provides premium features, such as SMS and voice reminders, offered at pay-as-you-go rates. Interested users can contact their sales team to inquire about the fees. 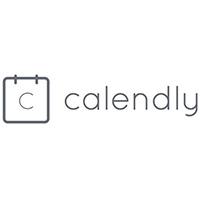 3 Best Appointment Scheduling Software Systems for 2018 — Appointment scheduling software lets clients schedule and pay for appointments and related services online. 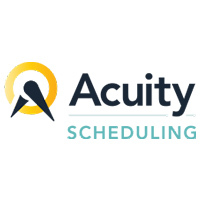 We researched the top-rated appointment scheduling software options and decided to review Square Appointments, Acuity Scheduling, and Bookeo Appointments. Should a Salon Use Online Booking Software? Pros & Cons — Learn how a salon/spa that offers online booking could potentially boost appointments by 25%. Get to know the pros and cons of using an online appointment booking software. Email Marketing Best Practices – 31 Tips From the Pros — We asked small business owners and marketing professionals to share their most valuable email marketing best practices and came up with a list of the best tips. How can DocMeIn help lessen missed doctor’s appointments? DocMeIn enables its users to customize emails, SMS, and voice reminders for each appointment. These reminders are delivered automatically to reduce no-shows. 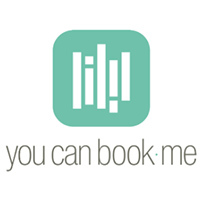 How does DocMeIn help users manage their online bookings? DocMeIn users can manage online appointments using a color-coded group calendar which indicates appointment status. They can also drag and drop appointments to reschedule or change its duration. Is it possible to manage patient information using DocMeIn? Yes. DocMeIn allows users to export and import patient information at any time. The platform is compatible with widely used spreadsheet tools such as Microsoft Excel or Google Drive. Not sure if DocMeIn is the right fit for you? Read our reviews of all top appointment scheduling software providers or check out one of these three DocMeIn alternatives.